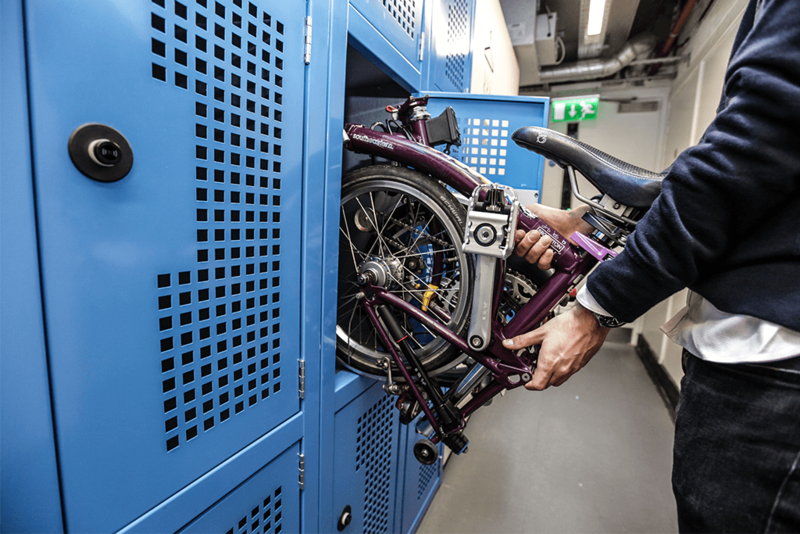 Designed to accommodate folding or Brompton-style bikes, our storage lockers are supplied built up in stacks of two or three compartments. Each stack can be bolted to another to create a larger unit and customise your bike storage. Locker size: H2100mm x W410mm x D645mm. 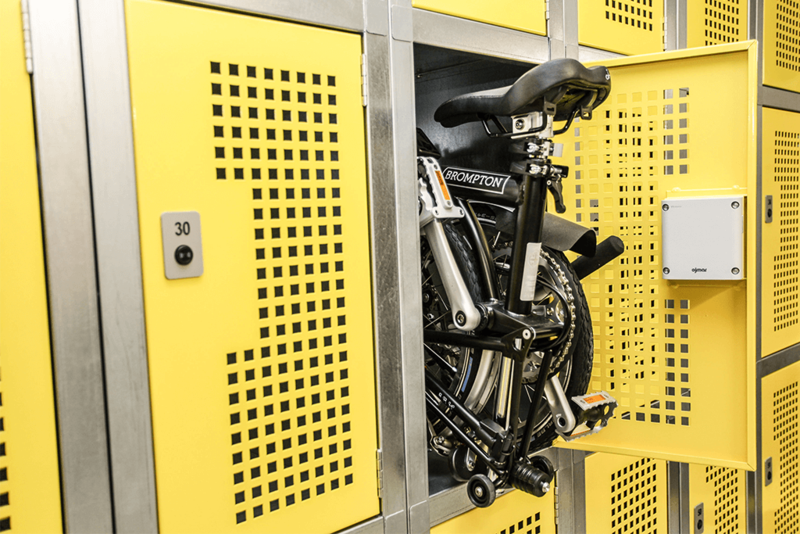 Delivered fully built up and ready for installation, our folding bike lockers can be easily fixed together or into the substrate for security. A flat, level surface is required for correct installation. 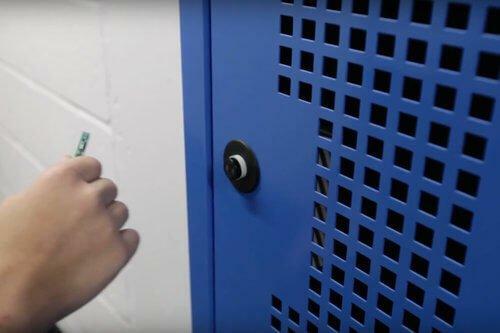 If electronic lock systems are specified, an additional charge for programming is required for integration within the facility. 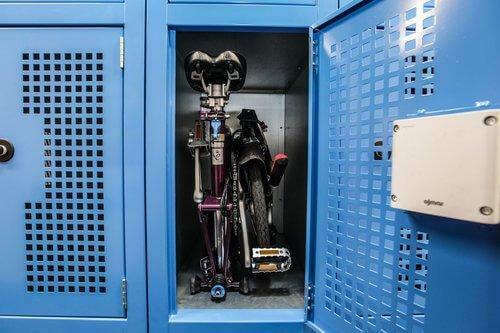 Turvec Brompton-style bike storage lockers are available in a number configurations and specifications. We will work with you to design the right specification for your space and requirements. 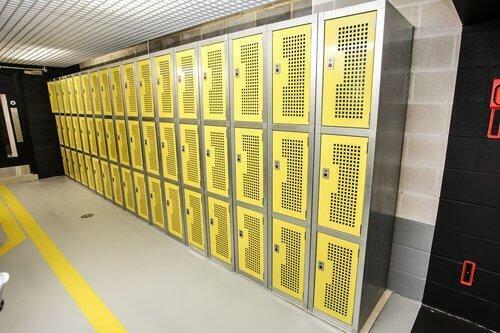 The lockers can be adapted to suit any space, in two and three compartment stacks, with galvanised or powder coated front panels. Based on the needs of the bicycle parking facility, we can incorporate either key turn locks or electronic keypad or keycard operated systems. Turvec Solutions is accredited with a number of industry certifications in relation to Health and Safety, competence and security. We are registered on all major procurement websites.